» Welcome to the cosplay scene at Comiket…wait, what’s going on there?? Welcome to the cosplay scene at Comiket…wait, what’s going on there?? It’s that time of the year again! Comiket, the world’s largest dōjinshi fair that’s held twice per year, is currently in full swing again at Tokyo Big Sight on Odaiba, the artificial island located in Tokyo Bay. Manga fans from around the world are lining up in droves and enduring hour-long waits in the hot sun just to get into the exhibition rooms that are jam-packed with merchandise. Naturally, a comic festival as big as Comiket draws a ton of cosplayers, and while there are some truly impressive costumes out there, there are some other, shall we say, more unusual sights to be seen. Take the above picture, for example–what on earth is happening here?? The situation is made funnier if you take a moment to figure out who the girl is portraying. 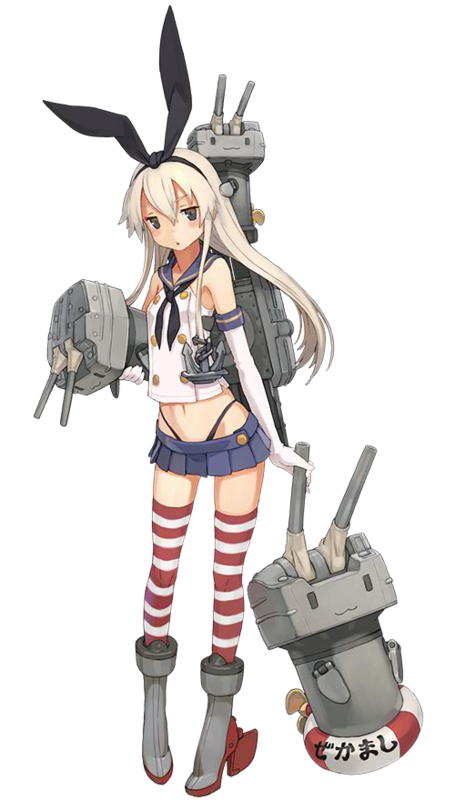 She’s dressed as Shimakaze, a character from the online card game Kantai Collection (“KanColle”), for which an anime series will begin airing in January 2015. But that’s not all, because all the cute girls featured in Kantai Collection are actually personified ships and submarines from WWII! ▼Hey guys, spot any of Shimakaze‘s 15 torpedo tubes up there?